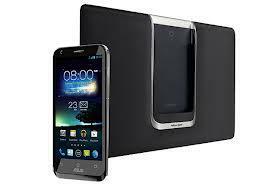 Asus officially announced their latest Asus PadFone-2 in October, 2012. 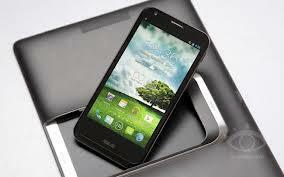 It is one of the high budget smartphones by Asus which will hit the mobile market soon. See its complete specifications, features and reviews below. Asus PadFone 2 has operating frequency of GSM 850, GSM 900, GSM 1800 and GSM 1900 in GSM range, WCDMA 900/2100 in 3G range and LTE 800, LTE 1800, LTE 2600 in 4G range. Asus PadFone-2 is about 137.9 mm tall,about 68.9 mm wide and 9 mm thick, and weighs about approximately 135 grams which is less when compared to high end phones with this height, width and thickness. Asus PadFone-2 has a 4.7 inch display touch screen. It has a screen height resolution of 1280 pixels and screen width resolution of 720 pixels with Super IPS + LCD capacitive touch screen with 16 million colors. It supports multi-touch facility. one of the advantages of Asus PadFone 2 is that It has approximately 312 ppi pixel density. Corning Gorilla Glass is used to protect the display screen to provide better graphics and rich user interface. It has Optional Padfone Station with 10.1 inch IPS display with 1280x800 pixels and also has 5000 MAh battery. Asus PadFone 2 has got Single Micro-SIM facility with Micro-USB data connector with which the phone can be connected to PC or laptop for data accessing, data transfer and internet connectivity. It has 3.5 mm universal audio jack connectors. This means it can plug and play in your favorite ear phones or head phones to listen to music without having any implications to use Asus handset head phones only. It has Micro-USB version 2.0 with MHL connector through which Micro-USB data connector will be attached. It has Near Field Communication facility. This is one of the main features of Asus PadFone 2. NFC is the latest data transfer technology for mobile phones. It has Bluetooth version 4.0 with A2DP. This will give you better data transfer speed. It has WLAN 802.11 a/ b/ g/ n. It supports Dual-band and Wi-Fi hotspot. The GPRS speed of Asus PadFone-2 is approximately 32 to 48 kbps. The EDGE or EGPRS speed is approximately up to 236.8 kbps. The DC-HSDPA speed is approximately up to 42 Mbps, HSDPA speed is 21 Mbps and HSUPA is almost 5.7 Mbps with the LTE speed of 100 Mbps. Asus PadFone-2 has 16 or 32 or 64 GB internal memory which can store large amount of data and wide variety of audio and video files but It has no external memory slot so we cannot use external memory cards. It has 2 GB RAM for performing multiple tasks. It has 50 GB of cloud storage support in Asus Web Storage.We need internet connection to access cloud service and network speed depends on the downloading and uploading of data.However, it offers faster data transfer. Asus PadFone 2 supports GSM, HSDPA and HSUPA. It also supports GPRS and EDGE. We can also access 4G networks. The alert type of Asus PadFone 2 has vibration and MP3 ringtones. It has loud speaker facility. It has 3.5 mm audio jack. It supports most of the audio files like MP3, EAAC+, WMA and WAV. So, there is no problem in Audio player. Asus PadFone-2 is powered by Qualcomm MDM215m/ APQ8064 processor. Qualcomm MDM215m/ APQ8064 is a Dual-Core 1.5 GHz Krait processor. Most commonly 1.5 GHz processor is used in Smartphones. So, it has very good processing power. It provides the best support for photography, games and applications.The Processor provides Asynchronous technology which will reduce the power consumption of the Smartphone and will give more battery backup.It also has Adreno 320 GPU for better graphics and games. Asus PadFone-2 has front video camera resolution of 1080 pixels with 30 fps. Videos can be streamed online from this phone. It has video calling, video recording, video player and video sharing facilities. It can play most of the video formats like H.260, H.264, MP4 and WMV without any third party software. It has some extra features like continuous auto focus, video light and video stabilizer. Asus PadFone 2 has a secondary camera for 3G video calling. Asus PadFone 2 has 13 mega pixel camera with auto focus and LED flash and main camera resolution of 4032 x 3224 pixels. This resolution can store HD images.The Special features of the camera are Geo-tagging, touch focus and face detection. It also has a 1.2 mega pixel secondary camera. Asus PadFone 2 runs on Android Ice Cream Sandwich OS. Qualcomm MDM215m/APQ8064 is used as its chipset. Dual-Core 1.5 GHz Krait processor is used for better processing and performance. Adreno 320 is used as its GPU. Messaging features of Asus PadFone 2 has SMS with threaded view, MMS, IM, Email and PUSH Email. Its browser supports HTML5 only with good browsing facilities. It has no Radio facility. Asus PadFone 2 supports GPS SNS integration. We can install Java applications by using Java MIDP emulator. It comes in black and white . It has 50 GB cloud storage support. It has TV connector facility. It has no HDMI port. It supports active noise cancellation with dedicated mic. It uses standard Li-Po 2140 MAh battery. Its stand by time is up to 353 hours. Talk time is up to 16 hours and 30 minutes. Learn the key features and details of the recently launched Asus Padfone 2. Conflicting specs with the Asus website. They do not show the 1700 frequency. Where did you get that information from?